Back In The Gi » Blog Archive » One month in. I have been back in the dojo for just about one month now. I’d say that some of the rust has been shaken off and the feel is coming back. I’m finding it easier and easier to learn new exercises, and I can go through several of my old kata from memory. Not to say that they’re very sharp at all or that I have properly adjusted to the slight variations in the new school of Goju-ryu, but it’s a lot better (in my mind) than it was a month ago. I also worked on a bo kata last night after class, and I think have it down (again, in terms of the basic sequence — lots of practice still needed to do it better). Not so stiff after class anymore. Getting a bit more flexible each week. Stances and techniques are feeling more natural again. Some kata coming back. 1. Significantly improve my Sanchin kata. I need to fix the position of my block arm, work on the breathing, and sort out the timing of the step-turn. I also am trying to get used to lengthening my Sanchin dachi — I was taught that the toe of the back foot should line up with the heel of the front foot, but I have since been told that this can be lengthened by about a fist length for tall students. That still feels awkward but it should be easy enough to change with practice. 2. Fix up my Gekisai ichi and Gekisai ni kata. 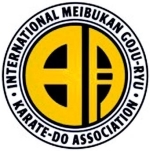 There are some differences between the Jundokan and Meibukan versions in the punches, where the kiais are, and in the speed of the punches at the end. Cat stance also differs between Jundokan and Meibukan, so I will need to update the way I have been doing it. 3. Work on updating my Saifa kata. There are a few differences with this kata as well, including the timing of the count when training in it, a jump to the kicks, and in the hands during the blocks and backfists. Also, there are no kiais in the Meibukan version, I think. 4. Practice my bo kata. I think I have the moves down (it’s amazing how quickly it came back), but the execution needs work. Last night I kept checking my hands on the bo (1/3, 1/3, 1/3) and this wasn’t bad but it needs to be tightened up. Also, I think I mixed up the stances a bit so I will need to clean that up. 5. Work on remembering Seiyunchin and Bassai Dai kata. Seiyunchin was a blue belt kata in Jundokan, but it’s a black belt kata in Meibukan. Bassai Dai is from Shotokan, but we needed it for blue belt. I’d really like to get these kata back since they’re both really interesting and enjoyable to perform. 6. Learn Tensho kata. We did Tensho at the end of class last night. Well, most people did — I just followed along and tried to remember as much as I could when the parts were being explained. Tensho was a black belt kata in Jundokan, so I don’t know it. I really like it, though, and I appreciate the concept of starting the night with Sanchin and closing with Tensho. Now that I’ve been shown it once officially, I think I’m allowed to work on it and ask questions from senior students. 7. Basics and kumite. Gotta sharpen up the strikes and blocks. Also work on raising the kicks and kicking with the heel. More work on hip rotation during techniques needed (of course) but also timing the technique concurrently with the foot landing (we don’t root first). Also, some of the pre-arranged types of kumite are new to me, so I need to get these down. 8. General fitness. I am feeling a lot better now than I was a few weeks ago, but my stamina is still nowhere near where it needs to be. I couldn’t survive an advanced class at this point given how the junior classes are going, that’s for sure. Flexibility is also an issue, but improves week by week.